Gilder Lehrman Collection #: GLC00496.027 Author/Creator: Grenville, Richard, Sir (1541?-1591) Place Written: s.l. 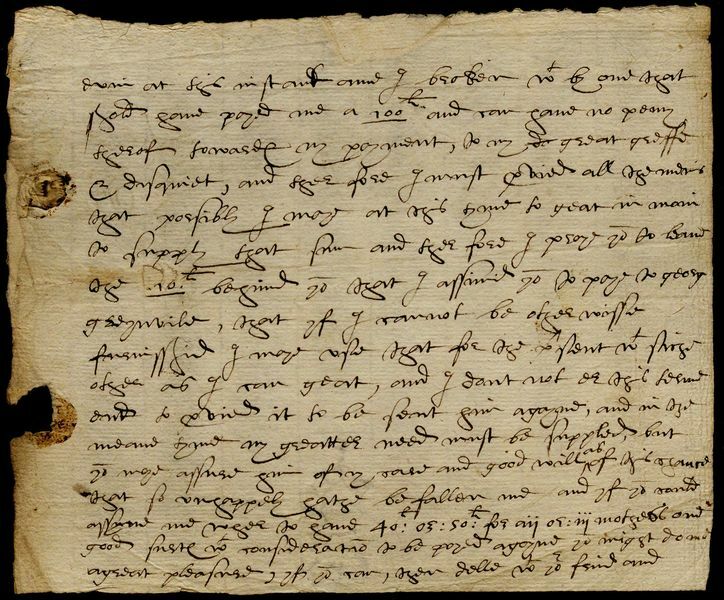 Type: Autograph letter signed Date: circa 1580 Pagination: 2 p. ; 17 x 21 cm. Summary of Content: Writes to his cousin to ask him to lend him money. In 1585 Grenville sailed to Virginia with 300 settlers that he successfully disembarked on Roanoke Island (off the coast of what is now North Carolina).